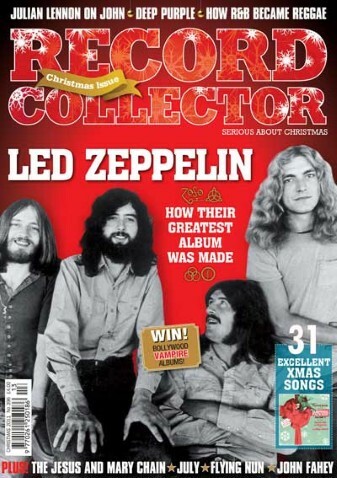 The Christmas issue of Record Collector is out now – it features Led Zeppelin as the cover subject and inside there is a ten page feature celebrating the 40th anniversary of the Led Zeppelin IV album written and compiled by Dave Lewis. 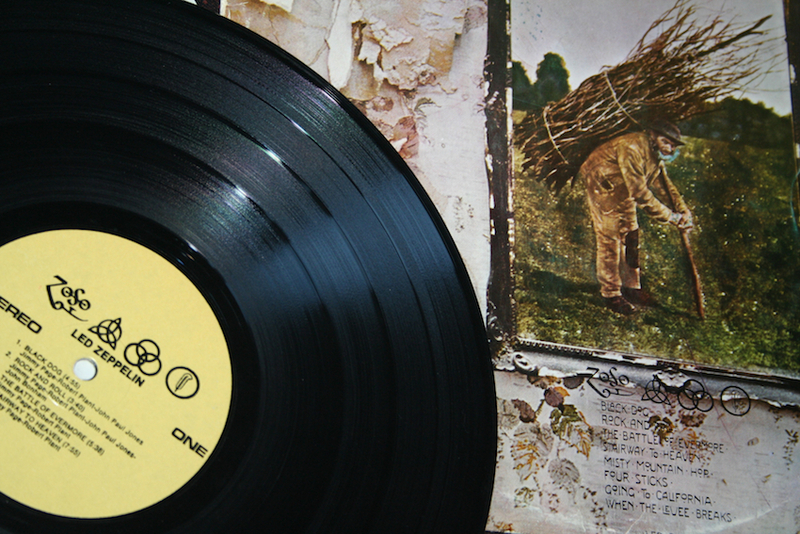 This chronicles the story of the making of the album, the origin of the sleeve design and four symbols, an analysis of the rare Led Zeppelin IV UK pressings plus an extensive Led Zeppelin IV Global Rarities guide compiled by renowned Zep vinyl collector Nick Anderson. 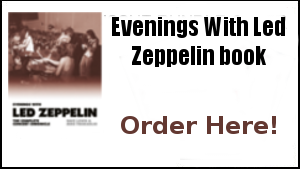 There’s also a spotlight on Zep associated Christmas happenings through the years. 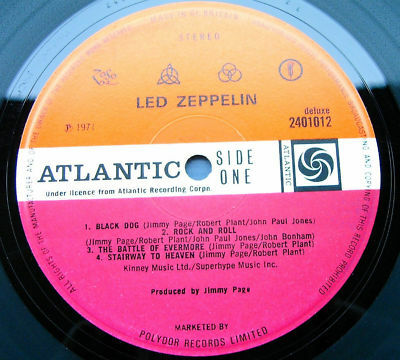 The development of the Led Zeppelin IV material live on stage throughout 1971 is well documented via a series of unofficial CD’s drawn mostly from audience tapes. The famous 5 March 1971 show in Belfast’s’ Ulster Hall where they performed Black Dog, Going To California, Stairway To Heaven and Rock And Roll for the first time, can be found on Black Velvet (Empress Valley) and 911117 (Tarantura). 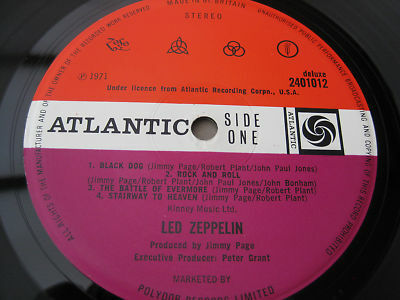 Their BBC 1 April appearance at the Paris Theatre in London has been much bootlegged and also appeared officially in edited form on Atlantic’s 1997’s BBC Sessions. 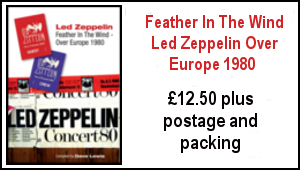 The highly recommended complete unedited performance is represented on titles such as BBC Zep (Tarantura) and Return To Paris Theatre (Scorpio). Also of historical significance is their 3 May show at the KB Hallen in Copenhagen. This featured the only known live performance of Four Sticks plus the also rarely played Gallows Pole. Captured on a clear for the time audience tape, this excellent concert can be found on CD titles such as Previews And Novelties (Equinox), Poles And Sticks (Black Cat ) and Stick Out! 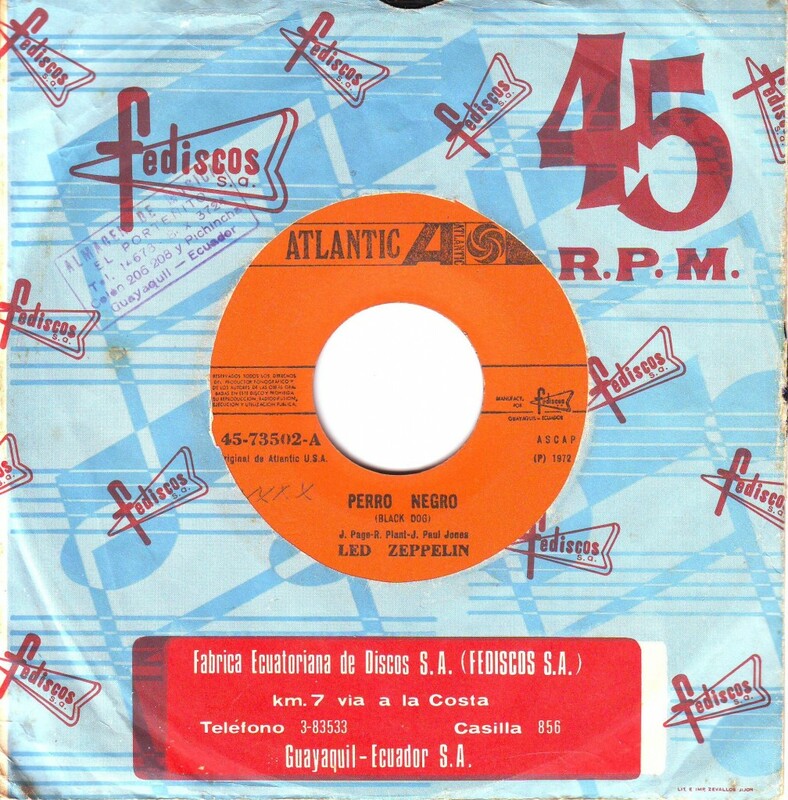 (no label). 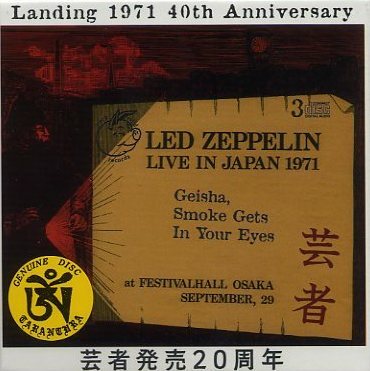 The on-going development of the Led Zeppelin IV material during the summer of 1971 is also tracked on Hot August Night, a great recording of their 23 August Fort Worth show (on CD via the TDOLZ label) and the legendary Going To California bootleg of their 14 September Berkeley Community Theatre show, first issued on the Trade Mark Of Quality label. 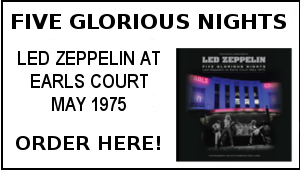 Their five night run of September shows in Japan have been much bootlegged and feature some of their best performances of the era – notably the Tokyo Budokan Hall 23 September show, available on a variety of titles including Timeless Rock (Watch Tower) and the 29 September Osaka Festival Hall show, which can be found on You Were There in Spirits (Empress Valley) and Live In Japan 1971 (Cobra) and the superb just released 3 disc Geisha Smoke Gets In Your Eyes via Tarantura. Finally from the winter UK tour, good audience tapes from their 16 November appearance at St Matthews Baths Ipswich and 25 November Leicester University show can be found on a number of CD titles including Ipswich 1971 (TDOLZ), and The Diploma (Tarantura) respectively. The Tarantura label’s lavishly packaged Empire Strikes Back is the definitive version of the audience recorded 20 November 1971 Electric Magic performance at the Empire Pool Wembley. WATCH FOR AN O2 FOUR YEARS GONE POSTING ON DECEMBER 10…. Music of Led Zeppelin will live for ever!!! My favorite, simply brilliant. To me the studio recording is one continuous piece of genuis. Rock & Roll at it’s finest. I agree with Lee 1971 was an amazing year for Rock & Roll fans. Thanks Dave as always a great read. 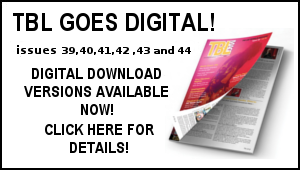 It’s featured on page 77of Record Collector – available at your friendly newsagent! emporiums by the legendary WEA sales representative Roger Williams – now there’s a name from our past! Read the article dave, amazing that you bring a fresh perspective to something thats as ubiquitous as Zep IV!Top work as always from the Zepmaster!Our local record shop(remember when every town had one? )had it displayed prominently in the window with not a word of explanation. Iwalked past it for weeks as i had no idea what the cover looked like! I was a WH Smith man for eleven years 1974-1985 selling records and books -great days they were -and met the good lady Janet there too! Simply a masterpice ! 40 years old just like me. Listened again last saturday night at my wife birthday party. When The Leeve Breaks sounds better everytime. It´s so perfect that any deluxe double version was released – but I really would like to have one like The Who did with Who`s Next. 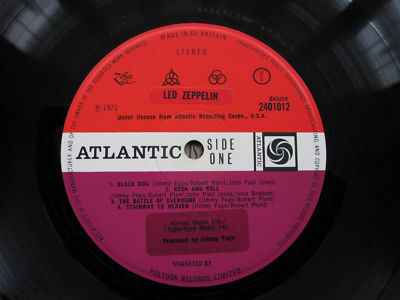 But Zep Is Zep, is another dimension ! What done is done but all of us would like to see Mr. Page play a full concert again ! Excellent!!! Will never forget when CD players first came out I bought the CD player and Led Zeppelin IV the same day. Didn’t really want to hear anything else for awhile!